I was recently ask on the Minecraft Mob post if I had any girl papercraft characters to create. It just so happens I do. 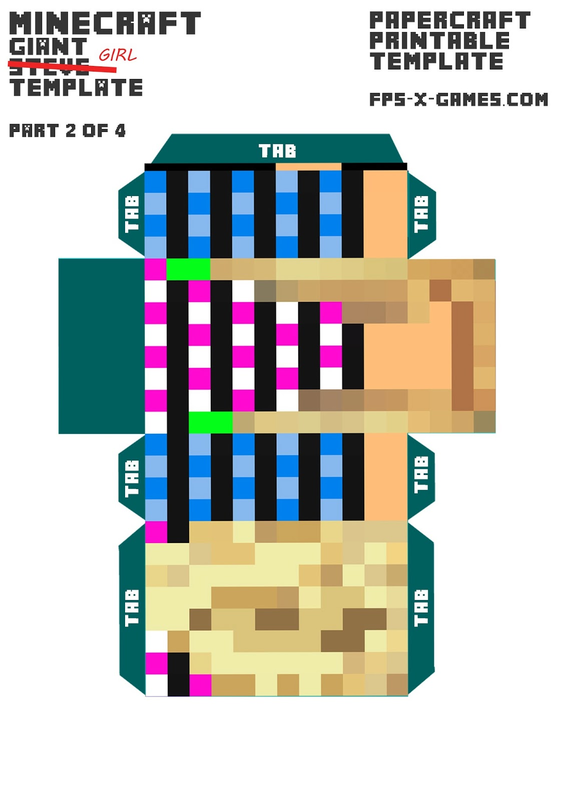 I used the large Steve papercraft template and added a random skin I found on the Internet. 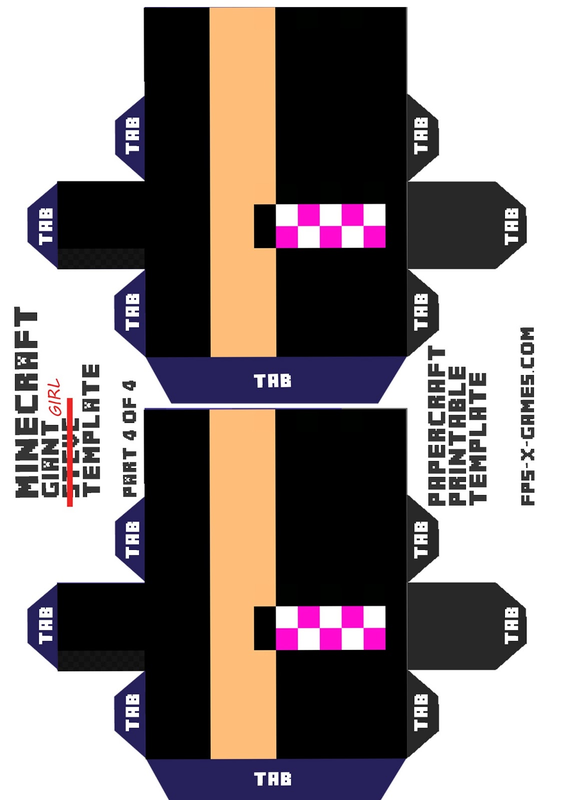 This Minecraft girl printable cut out template was created for a personal project I did but decided to share after being asked. Hope you like. Right click and save the template images as, print out the Minecraft girl paper model template. Its a good idea to use card when printing, I used A4 160 gsm card. Carefully cut around the girls body parts. 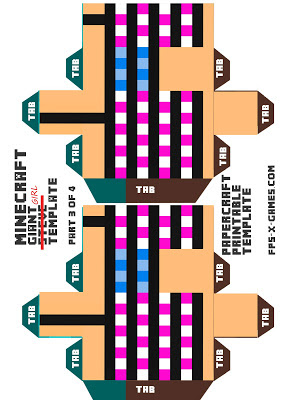 DO NOT cut off the tabs on the sides of the Minecraft girl templates, they are important! Fold all corners of your papercraft girl. Tabs should always be folded inwards. 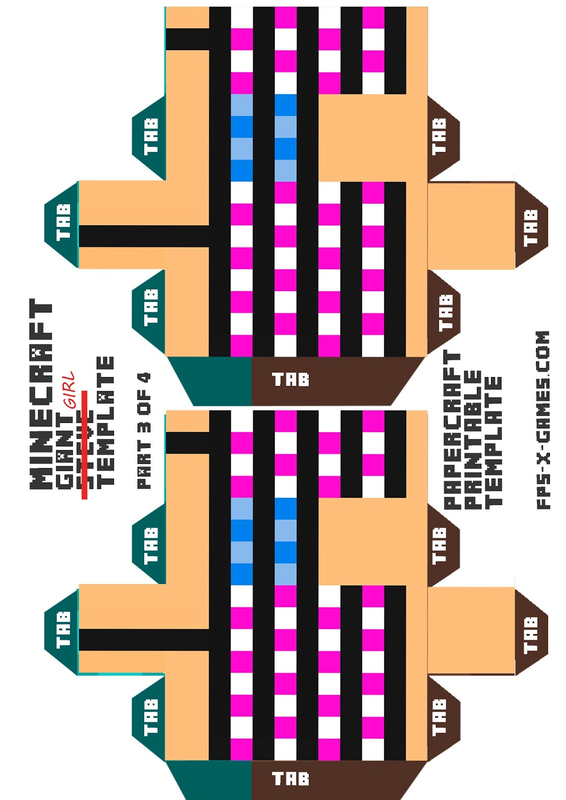 Glue or tape your Minecraft girl cut-out tabs together. If you know what this Minecraft skin is called or you have anymore requests then please comment below or contact me.